You’ve got me all wrong, I never meant to hurt you. I guess I got you wrong. I thought you meant Tuesday, not today. Family ties have become weakened. Family ties are weaker if you move a long way away. I no longer feel any ties with my home town. Gray had close ties with other powerful politicians. He is a businessman and developer with strong ties to Beijing. 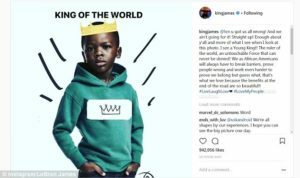 The retailer has already apologized and removed the image, but not before the ad was widely criticised, with some branding it racist. James posted a refreshed image showing the model wearing a crown. The caption on James’ Instagram reads: ‘[H&M], u got us all wrong! And we ain’t going for it! Straight up! The company is a retailer of office equipment and furniture. ‘Put some respect on it! !’ Diddy tweeted on Monday. The text has been revised and published in a new edition. Singer The Weeknd, who has a clothing line at the retailer, says he was ‘shocked and embarrassed’ by the photo and that he would end his ties with the company. 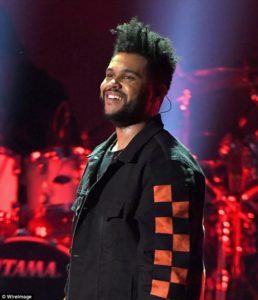 The Weeknd, whose real name is Abel Tesfaye, has twice collaborated with H&M and performed at the brand’s Spring 2017 fashion show. However, he tweeted on Monday that he will no longer be working with the retailer. There are discounts on many items from our older lines. I was shown all their new lines. In a statement shared with Daily Mail Online, H&M said: ‘We completely understand and agree with his reaction to the image. We are deeply sorry that the picture was taken, and we also regret the actual print. ‘We sincerely apologize for offending people with this image of a printed hooded top,’ the company said in a statement. We had estimated about 300 visitors, but the actual number was much higher. The actual number of people killed is not yet known. The play is based on actual events. Do you have any actual experience of catering work? I am very proud of this scheme and I sincerely hope it will succeed. ‘The image has been removed from all online channels and the product will not be for sale in the United States. The Weeknd released his second clothing collaboration with H&M in September, proudly sharing a photo of himself modeling a varsity jacket from the line to announce it’s launch last fall. It’s unclear if the star was working on a third collaboration with H&M at the time of the announcement. 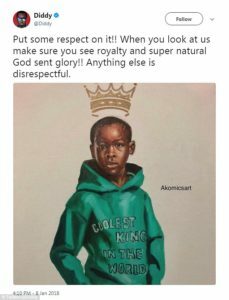 After photos of the children’s top took the internet by storm, customers took to Twitter to question whether H&M were being ‘casually racist,’ pointing out that ‘monkey’ has long been used as a racial slur. Some people pointed out there appeared to be no racial undertones but asked whether there had been a significant ‘oversight’ in the advertising campaign. With the inclusion of Italy, the number of member countries increased to six. The school has a strong culture of inclusion of students with special needs. We are strongly committed to inclusion. They have broken the rules and will be punished accordingly. As everyone knows, the Beatles took the US by storm.